Today's Daily Deal! 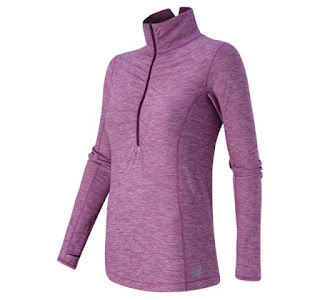 Save 79% on the Women's Impact Half-Zip Now Only $14.99 + $1 Shipping with code DOLLARSHIP at JoesNewBalanceOutlet.com! Offer valid Tuesday, 10/4. Chilly out? Keep it out with the breathable poly/Spandex mix Impact Half Zip. Wick the sweat without the chill with NB Dry. And look your modern best with the feminine style of the shirring front zip. Wear it alone or layer it up. It''s awesome either way.